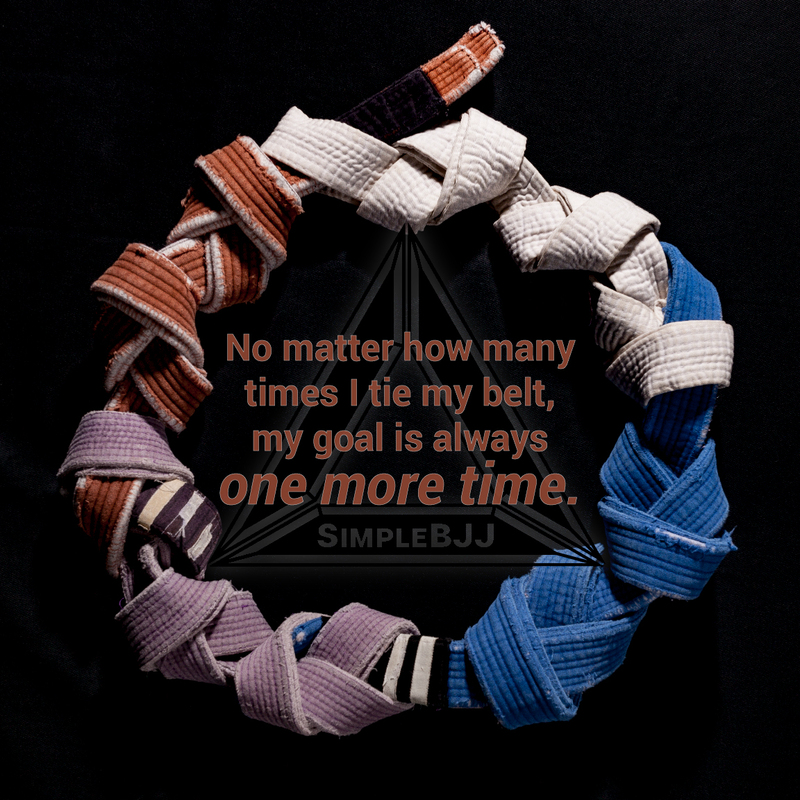 Yes, getting my BJJ black belt is really “halfway there”. Four years ago, I wrote that as a purple belt I was halfway to halfway there. Purple marked the midpoint of getting to the coveted black belt. On an intellectual level, I was correct, but it was not a great leap of logic to listen to what black belts told me about their experience. Now, looking back on the path to here, the years of effort are somehow compressed, as if it weren’t all that much effort to get here. In reality, it was a lot of work, various mild hardships, and eight years of constantly looking for what’s next. Every obstacle was overcome, every responsibility was fulfilled to the best of my ability, and every opportunity to learn what I wanted was explored. The single biggest factor in getting a black belt is dedication. Without dedication there can be no accumulation of knowledge, and without an accumulation of knowledge there can be no real world performance. Dedication must be applied to all aspects of jiu-jitsu, from showing up to learning to implementation. As Chris Haueter says, “It’s not who’s good, it’s who’s left.” I personally had to have seen hundreds of people start and quit jiu-jitsu. Many were more physically gifted than me or picked up techniques faster. Whatever advantages they had in jiu-jitsu were erased when they quit. It’s important to know that it’s not just about keeping a goal of the black belt and showing up when others don’t. It’s also about looking at training as something you will do for the rest of your life. With a long term perspective, things like colored belts and stripes lose their impact. 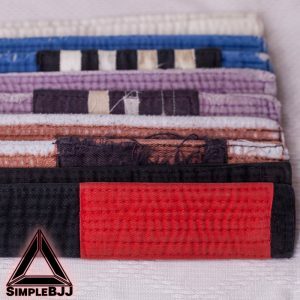 It’s harsh and discouraging, but reality is that the black belt is the only belt that matters in the jiu-jitsu world. All the other belts are useful only to you. The black belt is a marker with various meanings, but above all it means that you are a true student of the art, ready to explore and contribute in a skilled manner. Everything up to that is just practice. It’s not so dissimilar to education towards a profession. The awards, the diplomas, everything that is meaningful to you is nothing more than a series of steps towards actualizing your education in a given profession. Lawyers must pass their bar examination. Nurses their NCLEX. Others just need to be hired to start to do what they were trained to do. That is when the true practical experience and growth in the profession starts. Everybody will have a different path to the black belt, and they will also have different goals after they get their black belt. There isn’t a single path we all must take. Brazilian Jiu-Jitsu is too unconstrained and too vast to make any presumptions about how an individual will grow once they have their black belt. There’s nothing at all wrong with aiming to just have fun after the black belt. What is most interesting to me in my personal jiu-jitsu journey is that getting the black belt gave me a renewed sense of purpose, despite no defined next step to take. “Next level” is a poorly defined concept, but a very real aspect of what it is to become better as a black belt. I can see multiple levels of practitioner ahead of me, some on the performance side, some on the teaching side. I honestly have no idea what level I can get to, especially considering I started jiu-jitsu late at 37. For now, I’ll do the same thing that I tell my students to do. 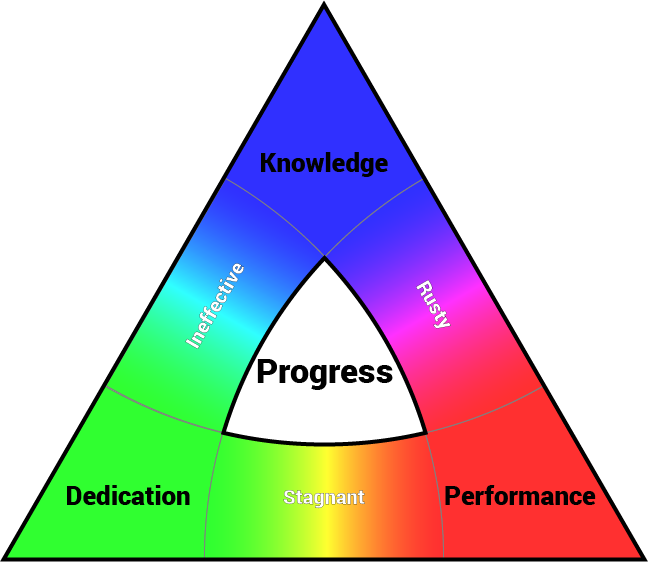 Obtain progress through knowledge, dedication, and performance. Have a clear path towards a goal, no matter what it is, then execute a plan. The black belt is nothing more than my new starting point. I’ve already started building the foundation for getting to a level above just being a black belt. Ambitious goals are being set, resources are getting lined up, and I am mentally prepared to aggressively pursue some goals I may never achieve. Chasing after perfection, no matter how impossible it is to grasp, creates some of the most amazing things humans can achieve either alone or together. Even if I am not able to be amazing with my jiu-jitsu, at least aiming for the top will help ensure that I am at least a positive influence on those around me and maybe they will be amazing. Chasing impossible perfection though intermediate steps worked for getting to black belt, and I know it will work for the remaining half of my jiu-jitsu. Good progress in jiu-jitsu is obtained by a combination working on your knowledge, dedication, and performance. When I am evaluating the progress of my students (as well as my own progress), these three metrics are what I use to determine how much progress is being made. Mastery is defined by details and experience. Advancement is achieved by consistent training and study. Knowledge is proven by testing and application. 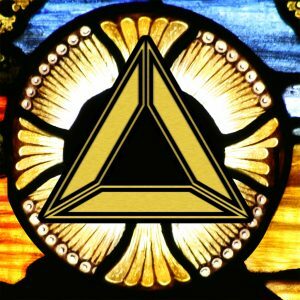 Invariably, you must accumulate knowledge to be proficient at jiu-jitsu. 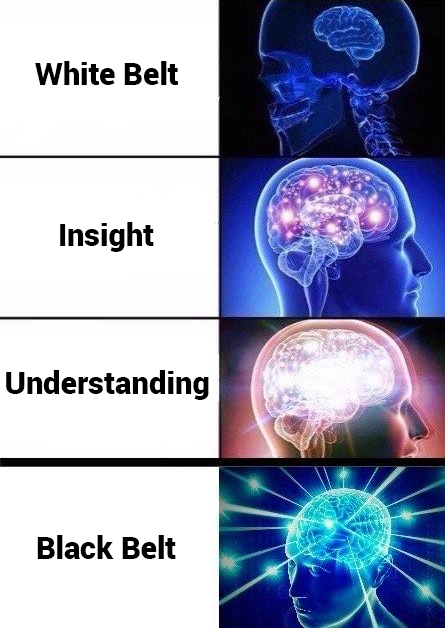 Knowing the right technique to use at the right time is critical for success, and a solid base of fundamental knowledge is mandatory. 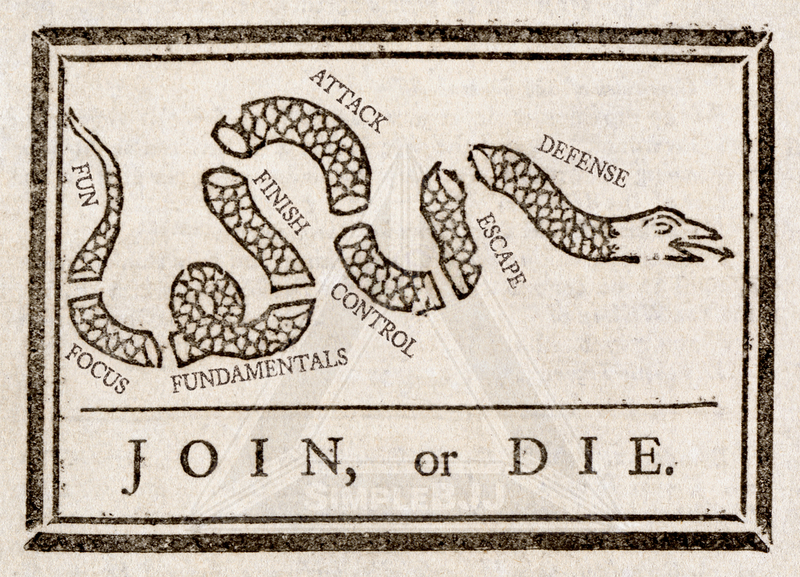 Each level of jiu-jitsu requires a different kind of knowledge, from defense, to escapes, to control, to submissions. As you accumulate details of each of these areas, you’ll also build experience that tells you when to apply those details. As you gain experience, look for smaller and smaller details; they are there if you examine your jiu-jitsu closely. Even as an instructor, I still enjoy going to fundamentals classes so I can look for the tiny details. Steady work towards your goals is the only way to advance towards them. I always recommend making a specific commitment for your weekly training. In a perfect world we could all train 2x a day, 6 days a week. We don’t have to be that aggressive, and most of us would have trouble convincing our bodies to keep up that kind of pace. Do at least what’s comfortable, and add a session. If you can do three sessions a week comfortably, try four. 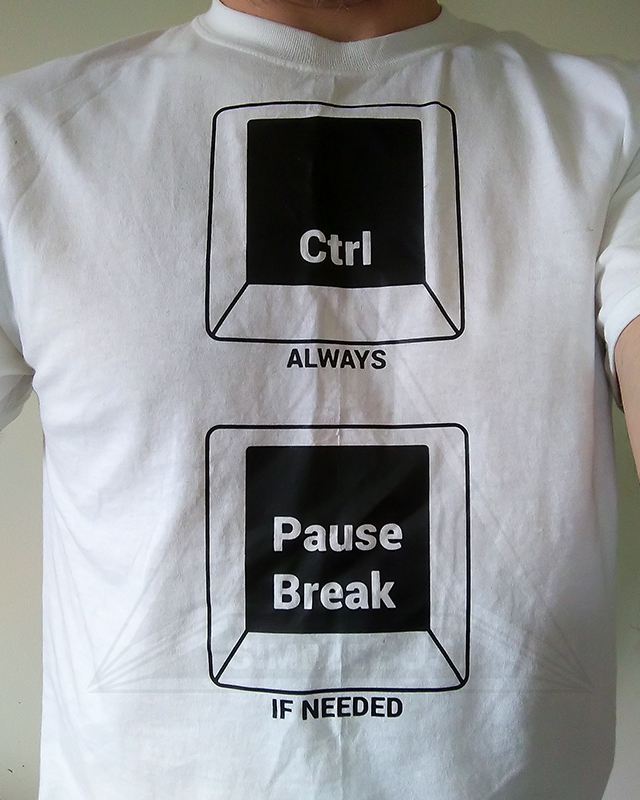 If it causes you any problems for work or family, drop it back. The important thing is to stay consistent and go train your target number of days per week, even on days you don’t feel like it. Jiu-jitsu must become a habit for you to get the most out a given level of dedication. Jiu-jitsu at its core is about real life performance against a fully resisting opponent. You must take every opportunity to do live sparring, either positional sparring or free rolling. You must test yourself in a variety of circumstances to truly prove your jiu-jitsu skill. Against lesser skilled people, you should be able to control, attack, and finish. Against higher level people, you must be able to defend yourself and be a hard target. Against equally skilled people, you should have lively exchanges of give and take, exploring both your own and your partners jiu-jitsu. When all three of these elements are consciously worked on, progress is the result. You will build your jiu-jitsu game and endlessly find ways to improve your game and keep jiu-jitsu interesting. No matter what your goal is, either short term or long term, efficient progress must balance these elements. When one of these areas is lacking in your training, you create an imbalance that has predictable results. If you lack dedication, you will routinely deal with belt rust, where you have to shake off the rust to get back to where you were before. I’ve talked to many black belts that say that if they miss a few weeks of training, like for injuries, the first thing they notice is a lack of timing. If you go longer, you start to lose a sense of what to do at the right time, even if you used to be able to hit a particular move instantly in the right circumstances. Go even longer, and you start to forget details of techniques. Jiu-jitsu is a perishable skill, and the longer you allow rust to accumulate, the harder the road back to your previous skill level. If you get to a given level of progress, and stop trying to accumulate more knowledge and details, then your jiu-jitsu game will be stagnant. You may perform well in sparring, and you’ll maintain your level with dedication, but your progress will be slow if you aren’t trying to build your knowledge. Jiu-jitsu can still be fun, but it will be a very long road to get to the black belt level. You also run the risk of getting bored with jiu-jitsu. Without performance in live sparring, you have what amounts to book knowledge of jiu-jitsu. It doesn’t matter how many techniques you can demonstrate if you can’t perform any of them in sparring. If you have any ambition to compete, then performance is critical. It’s certainly not impossible to progress in jiu-jitsu if you are lacking in one of the primary areas of knowledge, dedication, and performance, but there will be a time penalty. Plus, as we get older (or more injured), our performance metric changes. Nobody expects a seventy year old black belt to perform the same as they did when they were twenty. They can still build their knowledge and maintain their dedication, but the performance metric may end up being that of their students as a proxy for their own. If they have other seventy year olds of a similar level to spar with, then their personal performance can be judged fairly. If you work on all three of these elements in a balanced fashion, you’ll achieve progress significantly faster than if you focus on just one or two areas. In fact, this formulation of progress applies well to just about anything in your life, from your profession to hobbies. If you don’t lose sight of what it takes to make progress in your chosen endeavor, then progress is inevitable. If you are having trouble with your jiu-jitsu, figure out which of these elements are not where they should be. Discomfort, both giving and receiving, is a fundamental characteristic of jiu-jitsu. It is part of what builds mental and physical toughness for both sport and self-defense applications. When you are receiving discomfort, it means some aspect of your defense failed and you have to deal with discomfort while rebuilding your defense and escape options. When you are making someone uncomfortable, you have typically obtained a position of control and it is easier for you to accomplish your goals. Applied responsibly, discomfort helps get us out of our comfort zone and forces us to refine our technique. Keep in mind that discomfort is not pain, and it certainly isn’t injury. It is also a mental state. Mental discomfort that arises from physical discomfort clouds your judgement. As you learn how to cope with physical discomfort, it just becomes another input to the equation you are trying to solve. There is a reason that higher level practitioners often have an unreadable expression on their face even when they are in bad positions. They have dealt with discomfort for so long that it barely registers, whereas newer students may tap to something that is merely uncomfortable but has no chance of injury or even temporary harm. Pain is where discomfort crosses the line between a manageable sensation and something that you may continue to feel a little even after the pressure has stopped. It is stretching or grinding abuse of the body that threatens injury. Repeated pain to a joint is likely to cause low grade stress injuries which can temporarily force you out of training to give the joint a rest. Injury is when a single instance of stress actually breaks something. In jiu-jitsu, much of what we do is capable of breaking bones, tearing ligaments, dislocating joints, or damaging cartilage and muscles. If a submission is applied so quickly that there isn’t time to respond the discomfort or pain, injury is likely. Your goal should always be to avoid giving or receiving injury, even if it is an accident. Experience helps with this, so you should take a skill level appropriate approach to discomfort, pain, and injury. The line between comfort and discomfort is appropriate territory for lower belts and recreational jiu-jitsu players to explore, while the line between discomfort and pain should be reserved for higher level students (purple/brown or higher). Exploring the line between pain and injury has no place in regular training and should be avoided by everyone. Proper jiu-jitsu can train to cause serious injury without exploring that line. However, there are times where the desired goals require giving or receiving a serious injury. For example, in self-defense you may have to cause serious injury in order to protect yourself or your family. In the very highest levels of competition, there are many well known instances of an athlete accepting serious harm to their body in order to win. See the videos for Roger Gracie vs Jacare Souza (Jacare’s arm is broken, wins on points) or Nicolini vs Musumeci (Musumeci is injured while ahead on points, but eventually loses) for examples. Although discomfort is typically given from a dominant position, it is possible to make someone uncomfortable from an inferior position. Fighting for position for an escape, building frames, and redirecting force are all ways you can make the dominant player uncomfortable. The dominant player can use weight, leverage, and positioning to make the opponent uncomfortable. At the very least, you always want to make your opponent mentally uncomfortable, constantly guessing and responding to your actions instead of trying to implement their own plans. Once you become adept at causing discomfort without pain or injury, you have crossed the threshold of being able to cause misery. Misery in jiu-jitsu is how I describe a constant state of discomfort that never seems to go away. A good example of this is if you are rolling with someone who is much more experienced, you are almost always mentally uncomfortable as well as physically uncomfortable any time they make virtually any kind of contact with you. The more misery you can cause, the more you are in control of the situation and can implement our chosen techniques. In competition, causing misery induces our opponent to grow increasingly desperate and more liable to make a mistake. The clock is always your enemy when you are in misery. What about pain? It’s still a step beyond misery. It has a role in jiu-jitsu, but it must be disciplined to avoid injury. For example, a crossface can be uncomfortable, but a neck crank can be quite painful and is a short step away from injury. Knee on belly as a position can be painful, but it can cross the line to injury if it is applied to the ribs in a focused way. Pain is also used as a part of some techniques to force movement, although it is vastly more common to use leverage to force movement. So how do you practice all these forms of discomfort during regular training? Certainly when visiting another academy or working with strangers in your own academy, it’s best to be polite and avoid any form of pain, no matter what your experience level is. Among regular training partners, causing discomfort should be a normal goal unless it is accompanied by malice (e.g. revenge for a previous submission) or is wildly unfair (e.g. large weight, size, strength, or skill differences). Discomfort builds up our jiu-jitsu as a means of feedback on our technique. Causing pain is best left to more experienced practitioners because they are more familiar with the sensitivity that is required to avoid injury. An example of causing pain is framing an arm or placing a fist against the airway in order to induce a response. In these types of cases, the goal is not to cause injury, but to expose a weakness of defense and progressively apply pain in a controlled fashion. The pattern here is as you gain awareness of your own body, you are increasingly responsible for drawing your own personal line for what you can accept. Accepting injury is a possible rational decision, but for the vast majority of scenarios it is not an appropriate decision to contemplate. Of course part of your goal is to avoid even discomfort, but that is not always possible, so the levels above are what you should be prepared to deal with if necessary. On the giving end, the maximum level in this table is reserved for fair competition among peers. In an uneven situation, like purple belt vs white belt, the purple should self limit to causing discomfort while intelligently managing any potential pain received. When in doubt, default to mere discomfort for giving and receiving. It may be because of managing an existing injury, visiting another school, or even a simple case of not having enough gas in the tank to go very hard. Of course in self-defense, injury is almost necessarily always on the table. There are also times when an instructor needs to give unpleasant pain even to a white belt in order to illustrate a serious flaw in defense or thought process, but never to the extent that an instant release of pressure doesn’t immediately relieve all pain. It may seem a bit extreme to contemplate pain and injury in a recreational activity, but at root, jiu-jitsu is a combative sport, martial art, and self-defense system. Without the potential extremes, you are merely exercising. If all you want is exercise, you can indefinitely restrict both the give and receive options to nothing more than discomfort. If you want to build your jiu-jitsu to its fullest extent, you are going to have to learn how to cause misery, pain, and rare injury. As you learn the dynamics of the discomfort to injury spectrum, you build your mental resilience and your capability to confront any situation you encounter. This goes well beyond jiu-jitsu scenarios and improves all areas of your life. There’s a level of perspective you gain by having someone trying to choke you unconscious while you calmly disassemble their attack and go on your own offensive. It makes mere verbal confrontations much less stressful, even disregarding the fact that an escalation to violence is much less of a threat. Intelligent and fairly applied discomfort and misery can help you accelerate both your offense and defense, and they should be common elements of your training.